The CollectMORE App- Believe the hype! This app will change your life. Tell the app how much you are owed and when it was due, and it will tell you how to get paid. Unique and personalised advice given every time. Research a new customer- allows you to confirm their name and legal entity, check their online profile, email them a blank Engagement Form to complete, provide you with checklist of information to ask for before you start the job and much more. Prevent a bad debt before it begins. Unsure how to approach your customer and ask for your money? The app will give you your own script to use, telling you exactly what to say. Email and SMS your customer from within the app, choosing from 8 different templates, all of which are proven to work. The app will even recommend the best template for you. Ability to include your bank account details from your invoices on all templates, making it easier than ever before to get paid. Issue an official Letter of Demand from within the app. This app is truly amazing. A fool proof way to help get paid. I downloaded the app and within 48 hours I was paid after chasing the debt for 40 days. So easy to use and the added feature of checking new clients is so valuable. Takes some of that risk out of doing business with new clients. Cannot recommend highly enough. Wow. Just wow! I have been using the original CollectMORE app for months and it has worked wonders but this new version is on a whole new level. The templates are amazing and I love that I can do background checks on new customers. Incredible. This app has made it so much easier helping us collecting unpaid debts and helped so much with cash flow and reducing stress. 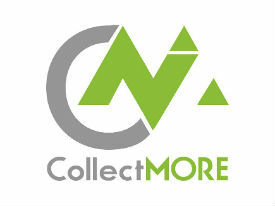 Click on your App Store of choice to download CollectMORE and GET PAID TODAY!